Christian Fraser co-anchors Beyond 100 Days with Katty Kay for the BBC News Channel, BBC World News, BBC Four and PBS. Christian Fraser also works as an anchor presenting on BBC1 News, BBC Breakfast and Radio 4’s PM Programme and has specialised in programmes on the Trump Presidency and Brexit. Christian began his career as a trainee reporter with the UK’s Mirror Group, later becoming a staff reporter with the Daily Mirror. Christian Fraser joined the BBC in 2000. His first day as an investigative reporter for Radio Five Live was 9/11. He then went on to spend a lot of time in Afghanistan and Iraq, embedding with British troops. In 2005, Christian collected Gold at the Sony Radio Awards for BBC Radio 5 live's rolling coverage of the Indian Ocean tsunami, which he presented through the night. He has also been nominated in the News Journalist of the Year category at the Sony Radio Awards and was recognised at the Prix Bayeux in 2007 for his reports on child casualties. From 2006 Christian had a series of major BBC bureau postings in Rome, Cairo and Paris. He was the only British correspondent inside Gaza in 2008 during the Israeli offensive, known as Operation Cast Lead and spent a week in the Palestinian city of Rafah as the Israelis dismantled the tunnels. He covered the revolution in Egypt and also reported on the war in Libya - first from the rebel-held city of Benghazi and then from Tripoli. 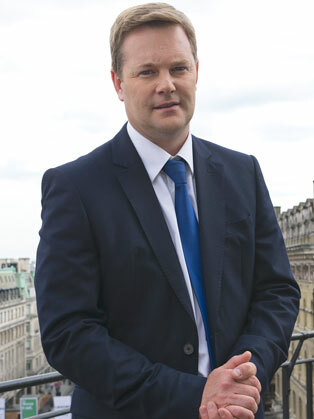 In 2014, Christian returned to London as the BBC News Channel's Senior News correspondent, before moving on to his current presenter role..
Christian is an accomplished conference and event host and moderator, drawing on his expertise in international affairs, security issues and the technical and digital changes, affecting the global business landscape. Christian is well placed to speak on the Trump Presidency, Brexit, security issues and digital disruption.